This Brookfield deck features Azek vintage collection decking, Cypress in color with Dark Hickory picture frame border & accent ribbon. 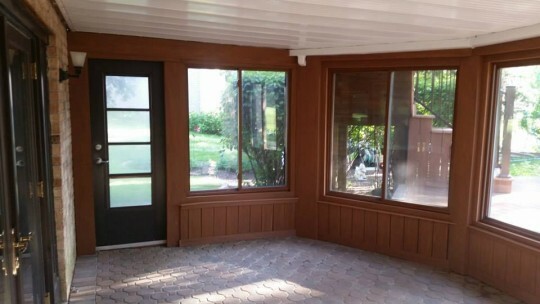 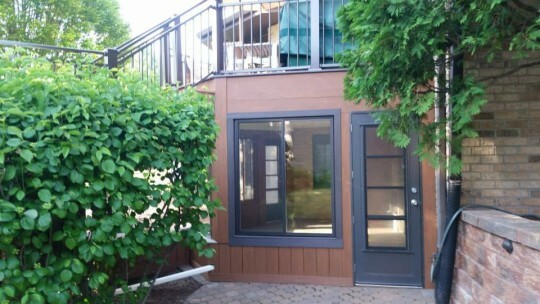 We installed Azek Vintage collection fascia to trim the sunroom interior and exterior walls. 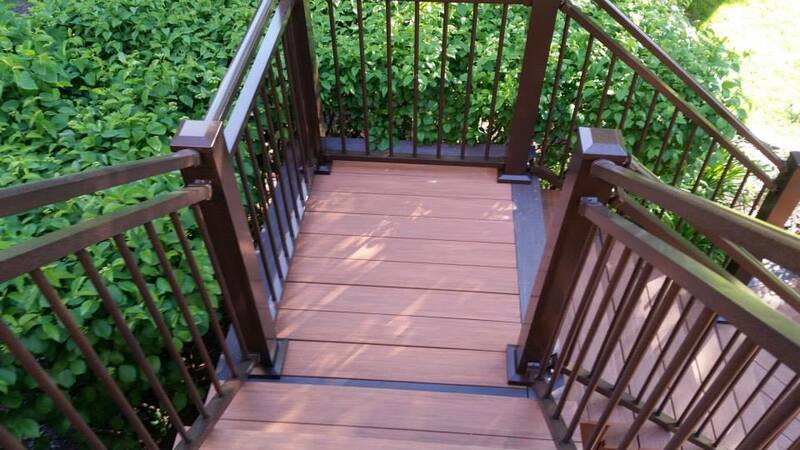 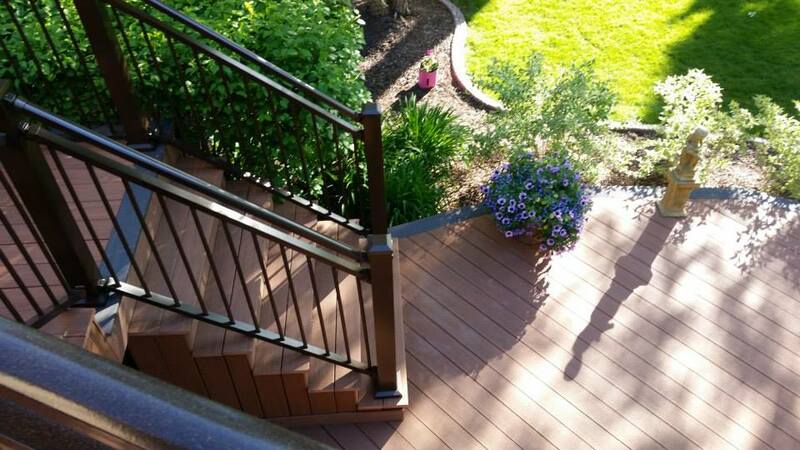 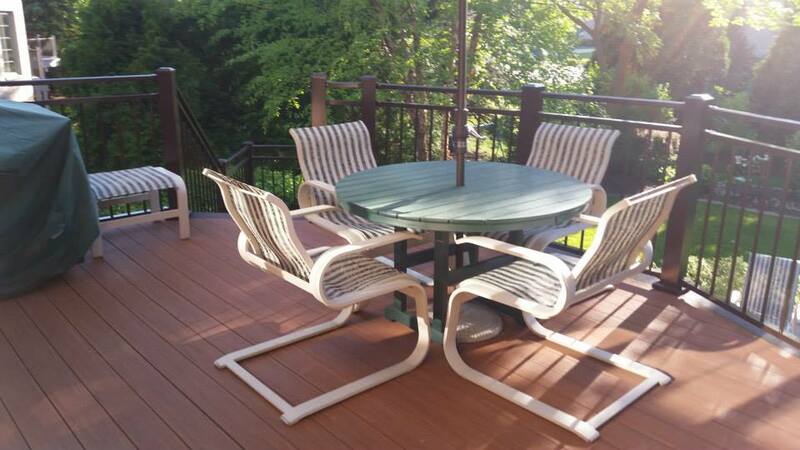 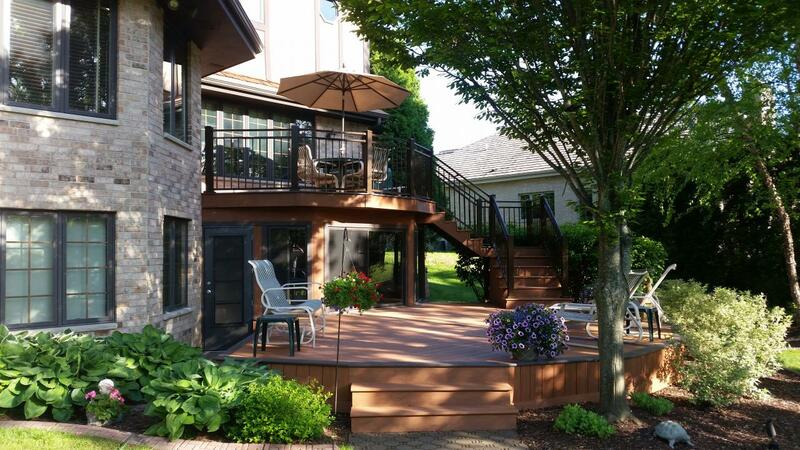 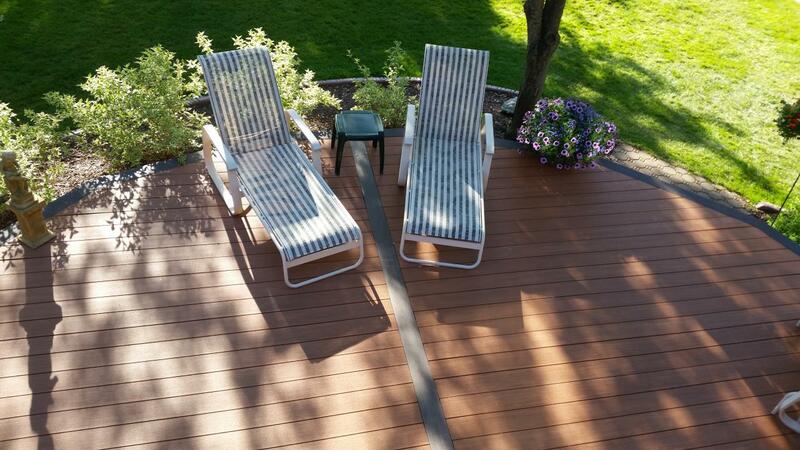 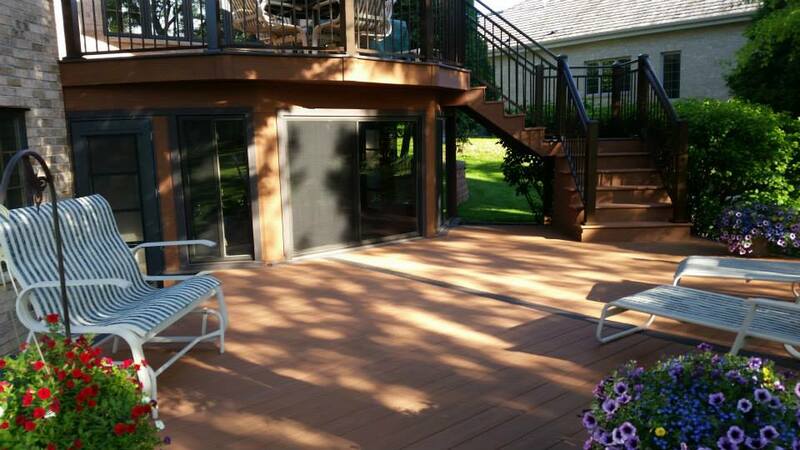 The deck also features Westbury Aluminum Rails, Speckled Walnut in color.